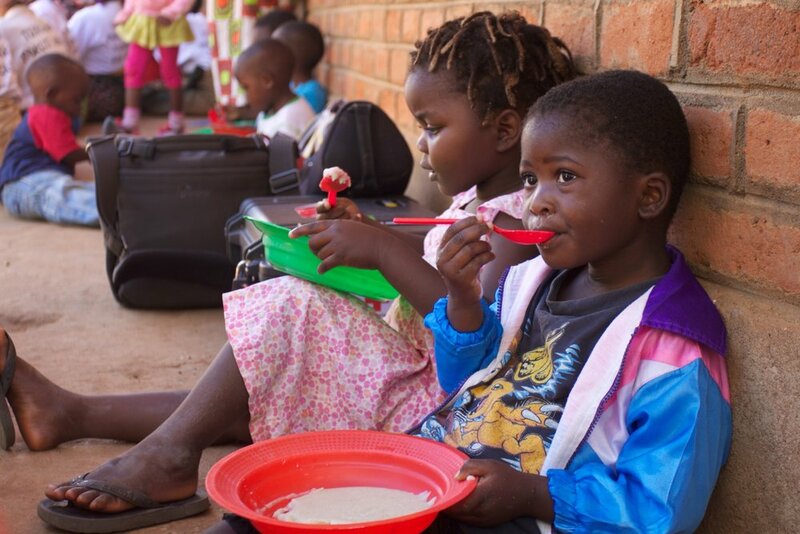 Over 2,246 orphans and vulnerable children who attend our village preschools (Community Based Childcare Centers) are receiving one healthy meal each school day. This is important because Malawi has the 5th highest stunting in the world because of malnutrition. 53% of children under 5 are stunted, 15% are underweight and 4% are wasted. The maize-based porridge has soy or ground nuts, salt and sugar added so these little minds and bodies are ready to learn each day. The village gogos play a significant role in this feeding program when they donate a "tithe" of their maize crop so the children will have enough all school year. SAFE/G0GO assists these gogos and the orphans and children they care for with seeds and fertilizer that help stabilize their food security. Malaria is the major cause of death in Malawi, and most at risk are children 3 months to 5 years old. SAFE-GOGO provides mosquito nets, training in their use and warm blankets. 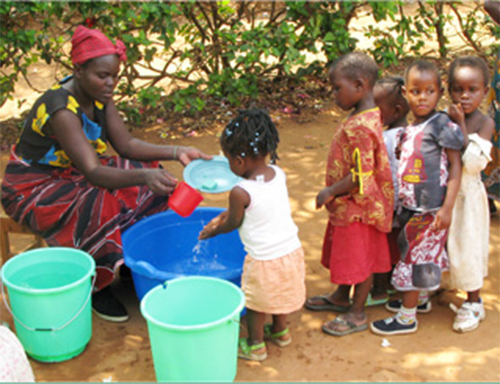 When water must be carried daily and basics such as soap are a luxury, it is important that children, and their gogos, learn the importance of basic hygiene--hand washing before eating (done with the fingers), and after using the latrine. HIV/AIDS is still a major health concern with a 12.8% infection rate among women and a 8.2% rate among men. Young people account for 50% of all new infections. Our Why Wait? and SAFE Life Youth programs target the youth and teach them how to stay safe and help others. Education is essential to any escape from poverty. Typically only 30% of children in Malawi finish primary school. A good preschool experience is vital to give the children a strong start that will help them be successful. We carefully train and monitor local village caregivers (preschool teachers) who staff our CBCCs (Community Based Childcare Centers). A small stipend--unusual in Malawi--is paid for their services and this has helped us retain well-trained teachers. Orphans are helped with secondary school fees and tutoring help is available at our SAFE Haven in Zomba. In public and private schools, the WHY WAIT? Truth for Youth, government approved, life skills curriculum teaches in an engaging way the Biblical principles necessary to have a healthy life, family and community. 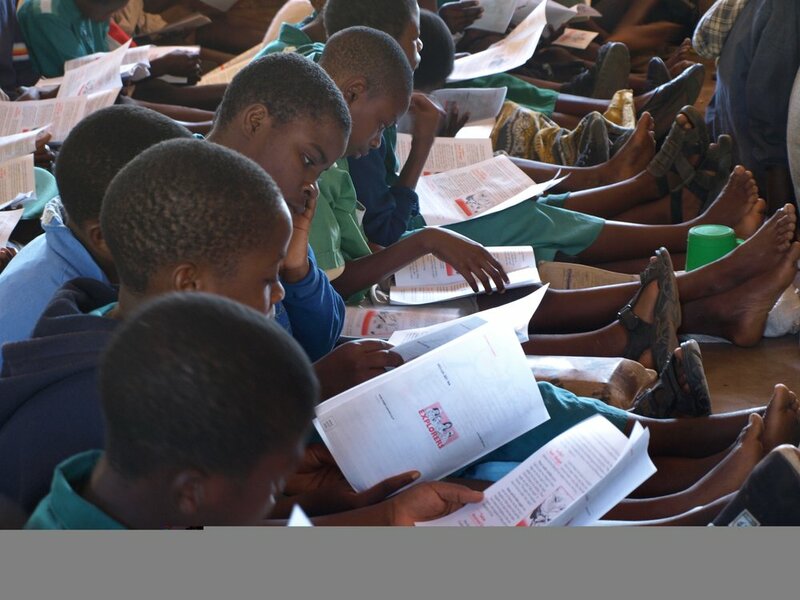 Malawi's high HIV/AIDS infection rate among young people makes this a life-saving program! Wherever the WHY WAIT? Curriculum has been introduced, schools have also seen dramatically reduced dropout rates due to pregnancy or early marriage. Malawi's next generation can be on a path to an AIDS-free future because they have the best “ABC” AIDS prevention of all—not condoms, but guidance rooted in Abstinence, Be faithful in marriage, and Character (Christ-like character). "Love's gotta have arms" --whether in a developed western country or a third-world village in Malawi, it is the loving arms of Christ demonstrated by the presence of SAFE staff and international supporters that makes the real difference. Village gogos receive vital humanitarian care, but just as important, they learn about the character and love of their heavenly Father and how to pray His care and blessing upon the children and orphans they love. Many knew little about God beyond tribal superstitions before a village gogo group became active. "As one gogo expressed it, "You taught us how to love each other, and it has changed our lives." Not only a hand out, but a hand up is SAFE's mission. In Malawi ,poverty means no electricity and virtually zero access to new ways of thinking, better agricultural practices and income generating activities. SAFE helps villagers identify their hopes and dreams and then inventory the skills and assets resident in the village, leading to a plan of action. As a result, villagers have made the bricks to build a village preschool building and village youth have developed service projects to meet village needs and generated income to assist in paying their school fees. Fresh courage to think big and initiate new activities are the result.